There is one thing for sure and that is that we cannot change the economy - history tells us that it has its ups and downs like everything else and it will eventually get better. We cannot change the banks - they are a law to themselves and generally look after themselves. When funds are plentiful they target themselves to give out money. When times are harder they restrict their lending. We cannot change life - it will carry on whatever. 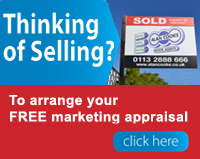 However we can change how you can sell your house and really this has always been the way. Prospective buyers look at many properties before they make their decision to buy. Initially they look on the internet and accumulate agent's brochures. So to start with let's makes sure that your property "looks good". Don't think of selling until your property presents a pleasant desirable "picture". Uncluttered - people should be looking at your house not your mess. Tidy - yes this is a must. Tie up the dogs and if necessary the children! Don't be placed in a position where you have to make excuses for the condition. Decorated - where you know it is required. Tidy the garden - yes it's all about a nice picture. The estate agents photos must be to magazine quality and the description must be likewise. A good Estate Agent will emphasise the bestselling points of your property - be it the garden, the extension, the kitchen or the bathroom. We have to get people in to your property to get their interest. Together with the presentation the correct asking price is the key. The correct price will be competitive compared to similar properties on the market taking into account extension, condition and location. Most properties that stay on the market for a long time are overpriced. All that this does is sell other properties and not yours. The worst thing that a vendor can say is that they are not in a rush, so are asking an uncompetitive price - they might as well not bother. 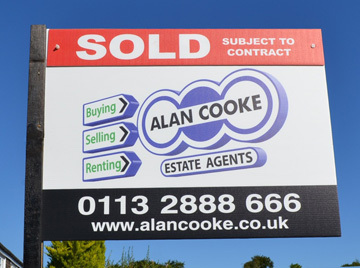 A good Estate Agent will have his or her finger on the pulse of the market and before they see you would have done a considerable amount of homework to access your type of property, the competition and recent sales so that when they meet you they can give you accurate advice which will lead to a successful sale.